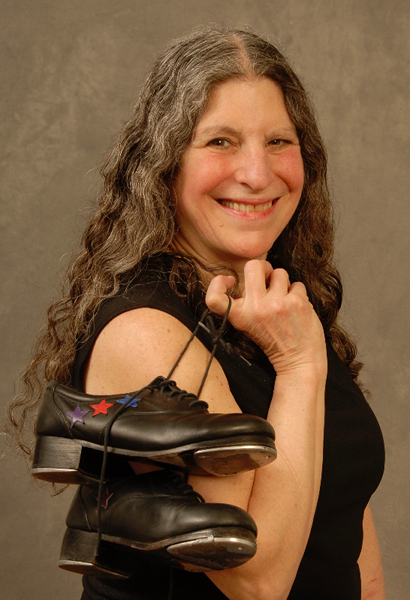 Sheila Graziano has been teaching and performing various styles of percussive dance since the early 1980s. She started out with ten years of tap dance lessons while growing up in Detroit. Once introduced to Appalachian clogging, the journey to explore other styles of dance began. She has since worked as a soloist, team member, choreographer, and artistic director in different configurations of dance/music ensembles. Sheila began working with Fiddlers Philharmonic in the mid-1990s, expanding their show offerings and highlighting the relationship between music and dance. This is her 20th consecutive year teaching clogging & more to high school students in Saline, and is delighted to be part of the Saline Fiddlers Philharmonic team. She performs and teaches workshops at events & camps, and has ongoing classes for local folks.